Redesigns updates at $299.00 eCommerce Web Site $2,500 Mysql data retrieval and reconstruct $2500 Meetings, conferences call! $4,000 to $15,000 Complete radio site with podcasting, Streaming, Video, Community, Forum, Blogs RSS feeds, auto posts to Twitter, Facebook, uTube, Myspace and more. $4,995 We travel to your location anywhere in the world! Custom pages for players for use on license sites, Facebook and so on Call for pricing and info. 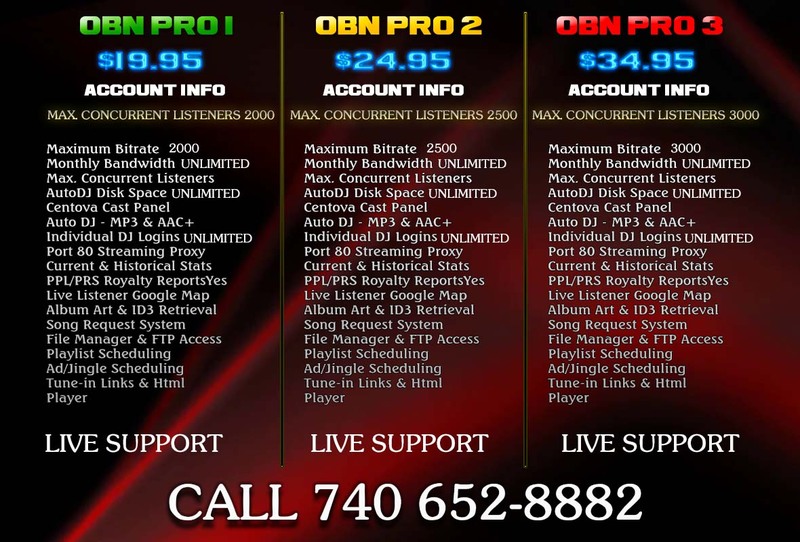 Network your PBX or new PBX we can ship to you for your radio station. If your not what this is you probably don't need it! We build custom to call in boxes for any device. One for your mixer. Have a phone your using or want a new one. We can make any device work for you. We can provide a high-quality service and maintenance contract for your studio/equipment/ transmitter. We can plan and arrange the construction of your studio complex. We have on-site studios to ones we ship out to you with audio for installation.